Those whitewashing accusations aren’t going away. The first teasers for controversial Scarlett Johansson movie Ghost in the Shell have been revealed, and those accusations of whitewashing aren’t going away. The sci-fi epic sees Johansson play a human-cyborg hybrid who leads a task force called Public Security Section 9 against a powerful hacker. The actress infiltrates a ring of eerie seated characters gathered around a central column in the first of the short clips, and strokes a female character’s face in another. The teasers are only ten seconds long, but give a flavour of what we can expect when the film arrives next year. Johansson’s character in the movie was previously portrayed as Japanese, and social media erupted with complaints about her casting when first announced. Marvel actress actress Ming-Na Wen previously hit out at Johnansson’s casting, saying she was “against this Whitewashing of Asian role”. 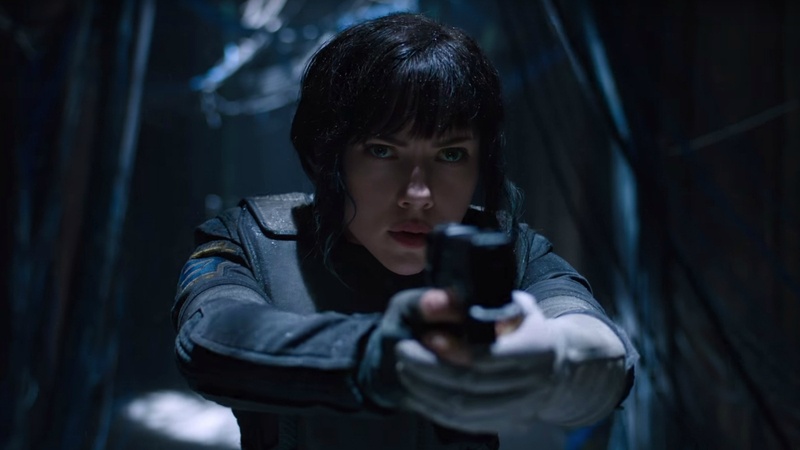 Johansson has just entered the history books by becoming the highest grossing Hollywood actress of all time – could Ghost in the Shell be a rare misstep?